James Clingman says that in addition to supporting and growing our local Black businesses, we must adopt a consistent, continuous, habitual movement centered on buying from ourselves. Because I don’t do foot marching, I won’t spend my time trying to answer that question; you can ask those who are calling for marches to explain it to you. What I will do, however, is suggest another kind of march: The Billion Dollar March. Just as in 2005, we are confronted with the same problems, the same conditions, the same powerlessness, and the same Black leadership that opts for foot marching as a way to get politicians to change, and as a remedy against unfairness, such as being killed by a rogue cop. Those of us who were members of the MATAH Network in 2000 will remember our monthly “Standing Order.” We received a book and a tape to help elevate our consciousness; two of the tapes were “Internal Reparations,” by Dr. Conrad Worrill and David Whitaker’s “The Wake-Up Call.” I listened to both of them this week and, while they reconfirmed my decades of spreading the “Economic Gospel,” those two messages from two astute, conscious, and conscientious Black men really illuminated—once again—the importance of marching our dollars to Black businesses and wielding economic power as a means to change our situation. Using dollars to reward and punish is a proven way of getting someone’s attention and, thereby, causing them to change their ways. Look at the many examples that have taken place just over the past ten years or so. Nations and their products were boycotted; sports organizations, entertainers, and conferences refused to hold events in cities whose policies went against their beliefs; and most recently we saw NBA Commissioner, Adam Silver, take the All-Star Basketball game out of Charlotte, North Carolina. Now in reaction to the election, three NBA team owners are boycotting all Trump hotels. Billionaires like Mark Cuban give their dollars marching orders. We must do no less. Our Billion Dollar March must be organized, measurable, maintained, sustained, and used to empower us. It must not be done solely to hurt someone else; it must be implemented to benefit Black businesses owned by conscious and conscientious brothers and sisters, because we know that, “everything Black ain’t Black.” The businesses we support must use some of their windfall profits to build a war chest to sustain the coordination of our Billion Dollar March. In addition to supporting and growing our local Black businesses, we must adopt a consistent, continuous, habitual movement centered on buying from ourselves. Every Black household should have Black-made products coming in at least once per month. Goods and services that we use on a regular basis, offered by Black producers, must find their way into our homes continuously. THE One million will keep track of our participation via pledges and feedback from our members and the businesses we support. What’s wrong with us, y’all? Worrill, Whitaker, Reed, and others have given us the formula for economic success and, thereby, political success, for many years. We don’t need another foot march, we need –and must have, a Billion Dollar March. Here is our charge: Start right now to redirect $1 billion back to ourselves in 2017, via the example now being shown by The One Million Conscious and Conscientious Black Contributors and Voters. We are buying and promoting a ubiquitous product, one that is consumed worldwide in amounts on par with oil and wheat: Sweet Unity Farms Coffee from Tanzania. To purchase, go to our website at www.iamoneofthemillion.com/products.html. We are also getting our tax returns prepared at Compro Tax Offices. 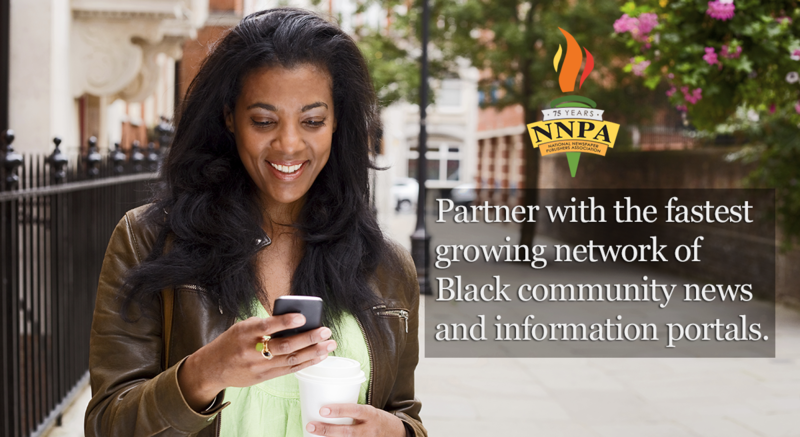 Buy Black products and professional services. If one million of us spend $1,000 per year at Black businesses we will bring our Billion Dollar March to fruition. So take a load off your feet. Let your dollars do the marching.